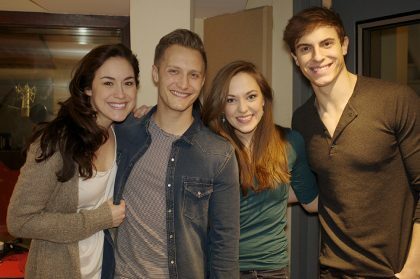 Alison Luff, Nathan Johnson, Laura Osnes and Derek Klena from the Studio Cast RADcording (photo by Rebecca Woodman Taylor). Alison Luff in the Studio Cast RADcording (photo by Rebecca Woodman Taylor). 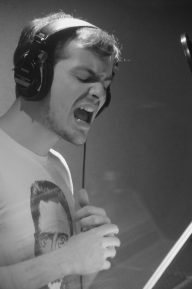 Derek Klena in the Studio Cast RADcording (photo by Rebecca Woodman Taylor). Patti Murin and Alison Luff in the Studio Cast RADcording (photo by Rebecca Woodman Taylor). 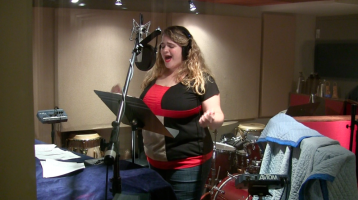 Patti Murin in the Studio Cast RADcording (photo by Rebecca Woodman Taylor). Robin De Jesus in the Studio Cast RADcording (photo by Rebecca Woodman Taylor). Kate Rockwell in the Studio Cast RADcording (photo by Rebecca Woodman Taylor). 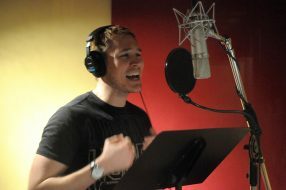 Sam Underwood in the Studio Cast RADcording (photo by Rebecca Woodman Taylor). Nick Cearley and Bonnie Milligan from the Studio Cast RADcording (photo by Rebecca Woodman Taylor). 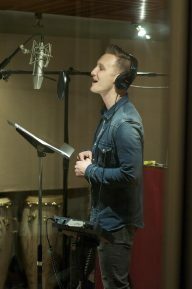 Nick Cearley in the Studio Cast RADcording (photo by Rebecca Woodman Taylor). 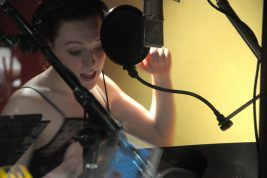 Bonnie Milligan in the Studio Cast RADcording (photo by Rebecca Woodman Taylor). 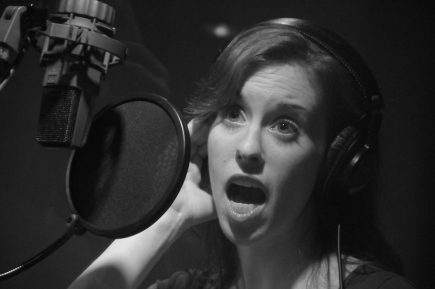 Lesli Margherita in the Studio Cast RADcording (photo by Rebecca Woodman Taylor). 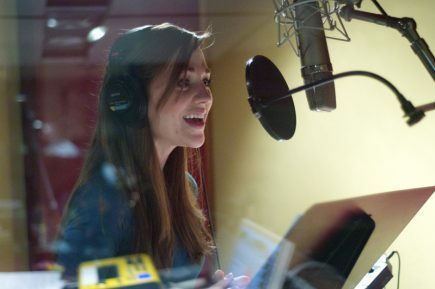 Laura Osnes in the Studio Cast RADcording (photo by Rebecca Woodman Taylor). 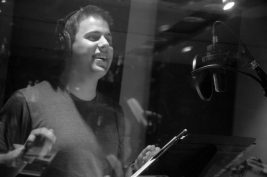 Nathan Johnson in the Studio Cast RADcording (photo by Rebecca Woodman Taylor). 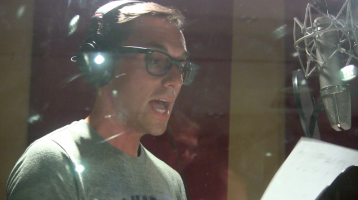 Aaron Riesebeck in the Studio Cast RADcording (photo by Rebecca Woodman Taylor). 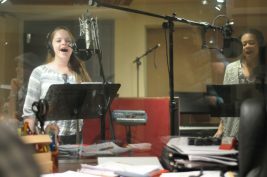 Elisabeth Ness in the Studio Cast RADcording (photo by Rebecca Woodman Taylor). Chandler Reeves in the Studio Cast RADcording (photo by Rebecca Woodman Taylor). 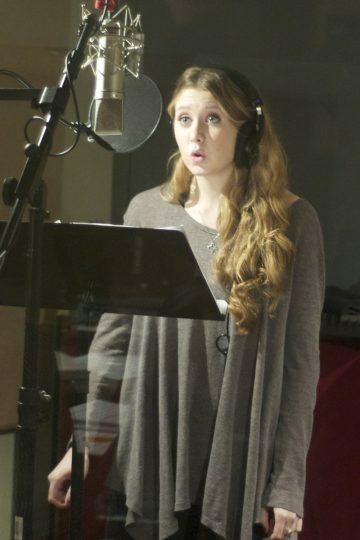 Emily Rogers in the Studio Cast RADcording (photo by Rebecca Woodman Taylor). Patrick Shelton in the Studio Cast RADcording (photo by Rebecca Woodman Taylor). 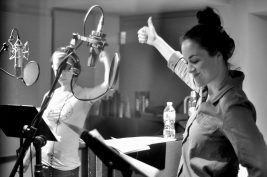 Lexi Tobin and Hillary Fisher in the Studio Cast RADcording (photo by Rebecca Woodman Taylor). 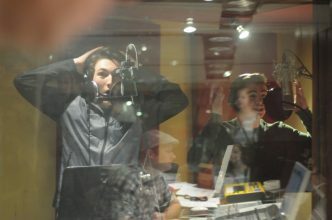 Joshua Spencer and Michael Nigro in the Studio Cast RADcording (photo by Rebecca Woodman Taylor). 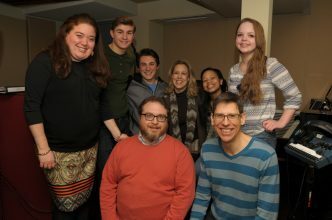 Studio Cast RADcording teen ensemble (Michael Nigro, Joshua Spencer, Hillary Fisher, Lexi Tobin) with casting director Robin Carus, music director Beth Falcone, composer Dan Acquisto and bookwriter/lyricist Sammy Buck (photo by Rebecca Woodman Taylor). Studio Cast RADcording Producer Michael Croiter (photo by Rebecca Woodman Taylor). The ensemble features Elisabeth Ness (Redheads Anonymous), Chandler Reeves (Unlock’d), Aaron Riesebeck, Emily Rogers (If/Then National Tour) and Patrick Shelton. Students from groups such as Broadway Workshop, the 1214 Foundation and Kidz Theater perform as a special teen ensemble in a song written specifically for the Like You Like It High School Edition: Hillary Fisher, Michael Nigro (Sound of Music Live! 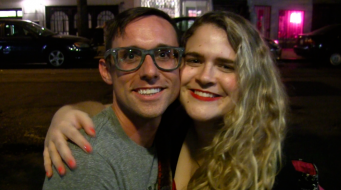 ), Joshua Spencer and Lexi Tobin (A Rockin Midsummer Night’s Dream). 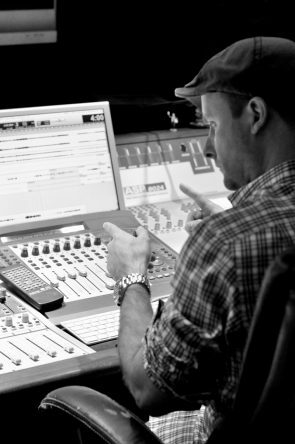 Michael Croiter of Yellow Sound Lab produces. Music direction is by Beth Falcone. Casting is by Robin Carus.